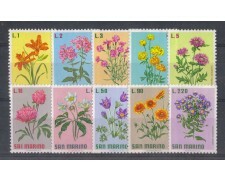 1971 - SAN MARINO - FIORI 4° SERIE (UNIF.SASS.836/845) SERIE COMPLETA 10v. NUOVI GOMMA INTEGRA ORIGINALE. 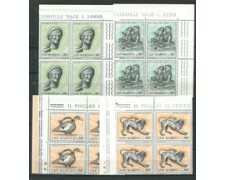 1971 - SAN MARINO - Arte Etrusca ( Cat.Unificato/Sass.832/835 - Yvert.787/790) serie completa di 4 francobolli Nuovi gomma integra. 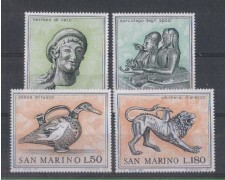 1971 - SAN MARINO - Etruscan Art (Cat.Unificato / Sass.832 / 835 - Yvert.787 / 790) complete set of 4 stamps New MNH. 1971 - SAN MARINO - CONGRESSO UNIONE STAMPA FILATELICA ITALIANA (UNIF.SASS. 829/831) SERIE COMPLETA 3v. IN QUARTINE NUOVE GOMMA INTEGRA ORIGINALE. 1971 - SAN MARINO - CONGRESSO UNIONE STAMPA FILATELICA ITALIANA (UNIF.SASS.829/831) SERIE COMPLETA 3v. NUOVI GOMMA INTEGRA ORIGINALE. 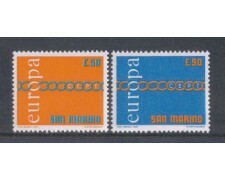 1971 - SAN MARINO - Europa ( Cat. Unificato/Sassone . 827/828 - Yvert. 782/783) serie completa 2 valori Nuovi gomma integra. 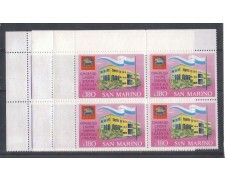 1971 - SAN MARINO - Europe (Cat. Unified / Sassone. 827/828 - Yvert. 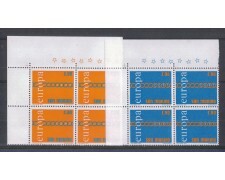 782/783) Complete Series 2 values New MNH. 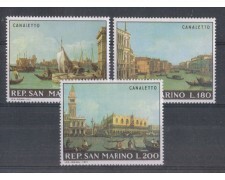 1971 - SAN MARINO - SALVIAMO VENEZIA - DIPINTI DEL CANALETTO (UNIF.SASS.824/826 - Yvert. 779/781) SERIE COMPLETA 3v. NUOVI GOMMA INTEGRA ORIGINALE. 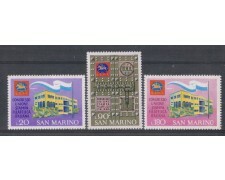 1971 San Marino - Save Venice painted by Canaletto complete set of 3 new stamps MNH.